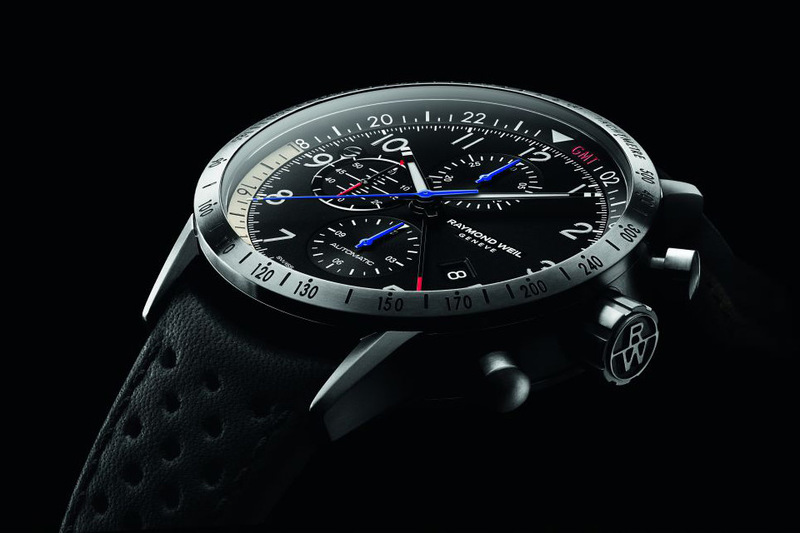 Raymond Weil launched its first pilot watch partner with Piper Aircraft. 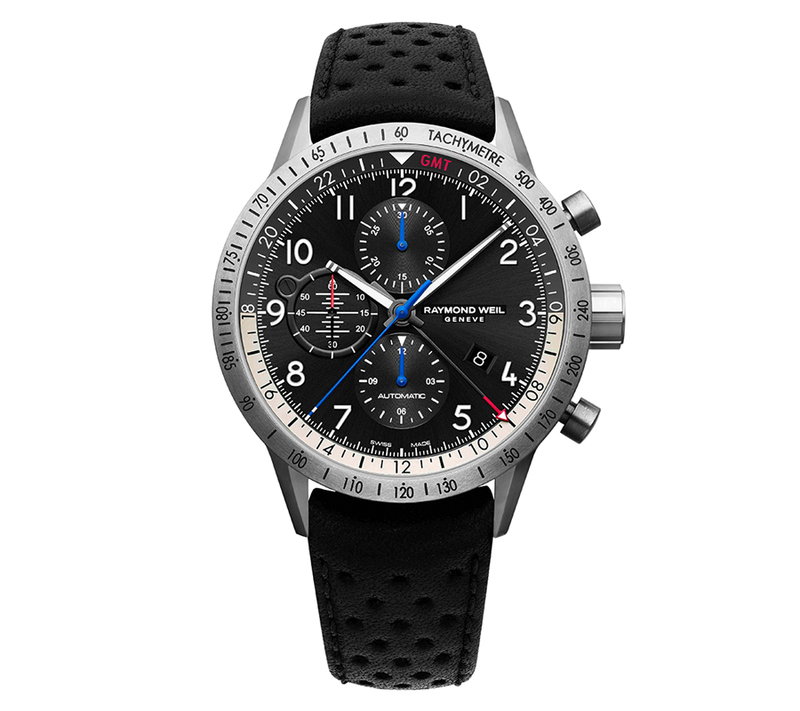 Not that anything about the watch itself says or indicates Piper, but the airplane maker is in the official name of the watch, which is the Raymond Weil Freelancer Piper – and it exists as a limited edition.This pilot watch has some unique elements which help it stand out from the larger context of Swiss pilot-style mechanical watches. Even as a limited edition, it was curious for us to understand how Raymond Weil wanted to differentiate their pilot watch from the many others which exist out there for sale. Now, luxury Swiss sport watches are a popular but crowded area. I don’t know if after reviewing the Raymond Weil Freelancer Piper I can answer the question of “why it exists or how it fits into the brand’s larger strategy,” but I can share my feelings on who this watch might be good for. The Raymond Weil Freelancer Piper wears boldly because it comes in 45mm wide in titanium with some steel parts. 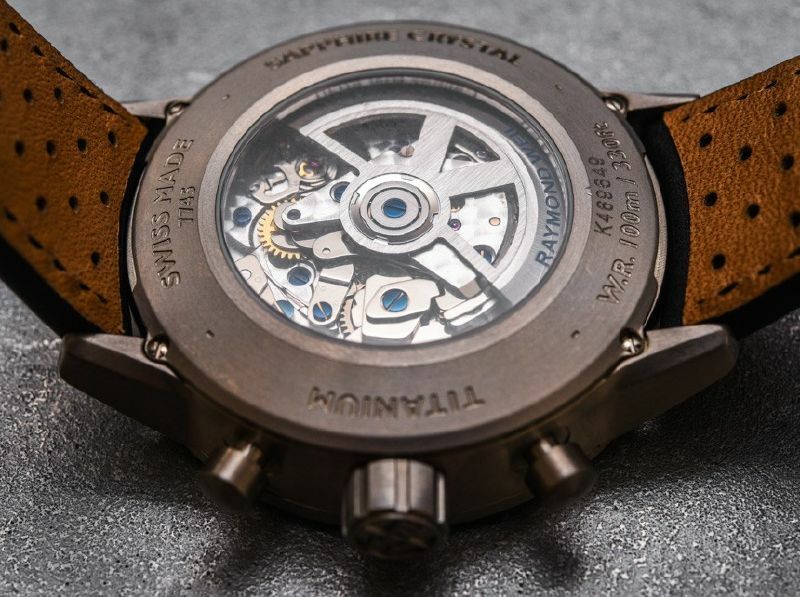 While modern in terms of angles and finishing, the case is nevertheless rather traditional in its actual design, with simple pushers and lugs. This is almost an intentional contradiction which makes the overall composition of the design something that each person will have to personally evaluate whether or not they like. So, basically, you have a traditional looking case that is on the larger side and in titanium at 13.7mm thick. Inside the watch is a modified Swiss ETA Valjoux 7750 automatic movement. Raymond Weil calls this their caliber RW5020, and it is basically a 7750 with a GMT hand. You can see the movement – which is decorated nicely – through the sapphire crystal caseback window. The movement provides the time, 12-hour chronograph, date, and GMT hand. There is a black and silver scale for the GMT hand around the periphery of the movement which adds a nice dimension to the design. With that said, in my opinion there are a few too many markers on the GMT scale for it to be easily read at a glance. That means it is more difficult to read the hours in the 24-hour format with the smaller red arrow-tipped GMT hand. While subtle, the brand did try to imbue the Raymond Weil Freelancer Piper pilot watch dial with some plane-inspired elements. There are, for instance, the propeller-type tips to the hour and minute hands, the frame with the screw around the subsidiary seconds dial, the graphics inside of the subsidiary second dial, and some of the other dial graphics. I am not actually a huge fan of the hour and minute hand tips, but they do make their point clearly enough. 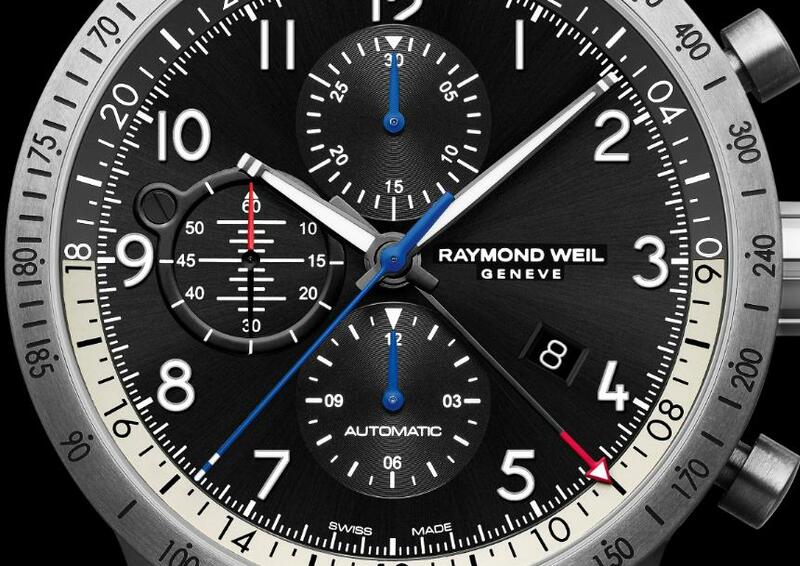 Again, the “plane theme” of the Raymond Weil Freelancer Piper dial is subtle, which is something more conservative aviation enthusiasts will appreciate. Attached to the watch is a perforated soft black leather strap attached to a titanium deployant clasp. The strap, while nice, has a confusing design because you mostly associated straps like this with racing, and not aviation watches. At least Raymond Weil is keeping you on your toes. It is a worthy first entrant into the pilot watch arena that will find takers.